Vaccination continues to be a very important public health intervention to control infectious diseases in the world. Subunit vaccines are generally poorly immunogenic and require the addition of adjuvants to induce protective immune responses. Despite their critical role in vaccines, adjuvant mechanism of action remains poorly understood, which is a barrier to the development of new, safe and effective vaccines. In the present review, we focus on recent progress in understanding the mechanisms of action of the experimental adjuvants poly[di(carboxylatophenoxy)phosphazene] (PCPP) and poly[di(sodiumcarboxylatoethyl-phenoxy)phosphazene] (PCEP) (in this review, adjuvants PCPP and PCEP are collectively referred to as PZ denoting polyphosphazenes). 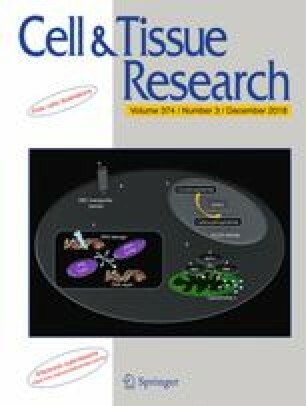 PZs are high molecular weight, water-soluble, synthetic polymers that have been shown to regulate innate immune response genes, induce cytokines and chemokines secretion at the site of injection and, also, induce immune cell recruitment to the site of injection to create a local immune-competent environment. There is an evidence that as well as its role as an immunoadjuvant (that activate innate immune responses), PZ can also act as a vaccine carrier. The mechanism of action that explains how PZ leads to these effects is not known and is a barrier to the development of designer vaccines. Financial support for this work was provided by the Saskatchewan Agriculture Development Fund (20150263). H.L.W. is an adjunct professor in the Department of Veterinary Microbiology and the School of Public Health at the University of Saskatchewan. G.K.M. is a professor in the School of Public Health, University of Saskatchewan and a Research Scientist at VIDO-InterVac. This manuscript was published with permission from the Director of VIDO-InterVac as journal series number 838.